Your company can immediately start saving money on equipment, facilities and labor by using a contract packager. Contract packagers specialize in the manufacturing and packaging of another company’s product. 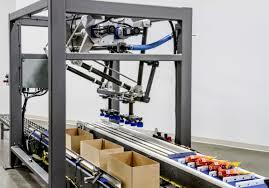 Contract packaging is used because of the unique efficiencies contract packagers offer. It’s these unique efficiencies that allow for companies to become more streamline and lower cost. The benefits of hiring a contract packaging company to handle your assembly and packaging needs are many. Outsourcing your packaging means the capital required for equipment, staff, training, and materials are on someone else’s P&L Statements and not yours. Contract packagers have made significant investments in capital equipment, facilities and staff that would be cost prohibitive for most companies if this isn’t the single focus of the company. A contract packager supplies production lines, specialized equipment and trained personnel to assemble and package your product. They can design production lines around your product to maximize efficiency. Production can be as simple as hand picking to the complexity of robotics to meet specific requirements. Less capital A contract packager has already spent the money on production facilities, packaging equipment, staff, and packaging design that allow companies to expand without these costs. Expand your development Contract packaging companies have equipment and technology to create custom packaging. They have a team of assembly and packaging professionals to do it all for you. Faster output Professional package designers and manufacturers that know how to improve efficiency, maximize speed and reduce cost. Package Design can design and manufacture custom packaging that clearly communicated features and benefits to boost sales of product. Increased Profits A contract packager’s facilities are set up to handle complex logistics and all packaging needs. Human Resources Your high “product knowledge” personnel can focus on higher economic value activities: marketing, sales, customer support, product development, quality control, etc… that create more benefit to your company than packaging. Whether you’re a startup company or a fortune 100 company, a contract packager can use its unique efficiencies to reduce product costs. In addition to cost savings there are the benefits of streamlining your company, simplifying logistics, and freeing up resources. Kurt Mogielnicki is Vice President of Packaging Designs & Solutions at SouthPack Packaging. His primary responsibilities are presenting packaging solutions that sell more product and enhance product protection at the lowest cost. Follow his blog for all his posts. He can also be followed on Twitter or Facebook.